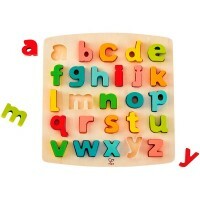 Alphabet Chunky Wooden Puzzle comes with 26 sturdy stand-alone uppercase letters that are brightly colored to make learning more fun. 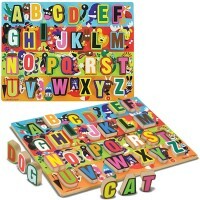 Learn the letters with this super colorful first alphabet puzzle by Hape! 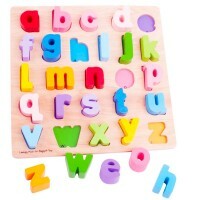 Alphabet Chunky Wooden Puzzle comes with 26 sturdy chunky wooden letters. 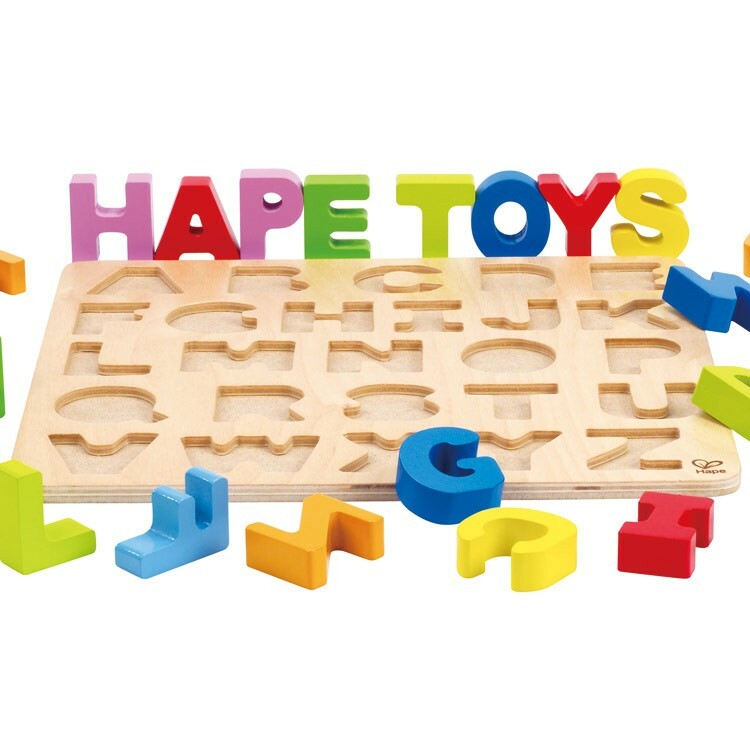 Find the right spot for every uppercase letter on the wooden puzzle board or play with the stand-alone letters making first words - this alphabet learning puzzle is great for the youngest kids. 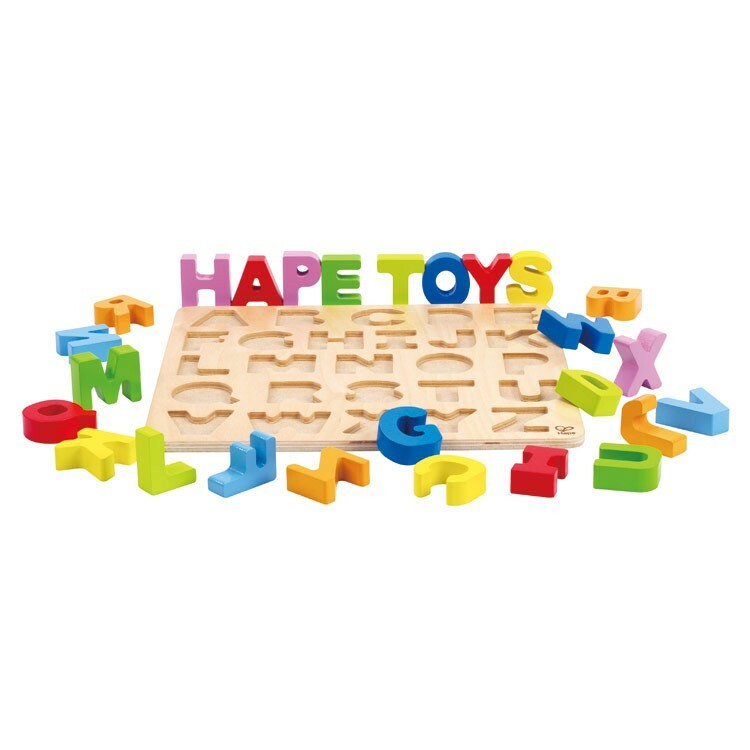 Alphabet Chunky Wooden Puzzle, as other Hape's products offered by Educational Toys Planet, meets or exceeds all US toy safety standards. 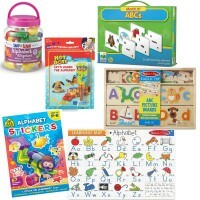 Dimensions of package 10.8" x 11.2" x 0.7"
Write your own review of Alphabet Chunky Wooden Puzzle. Rating: 5 Great quality! 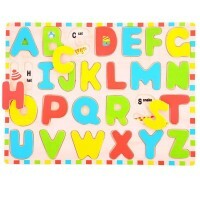 by By A customer Best quality I have found. 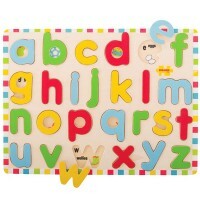 Plus, letters are thick, but sized for small hands. 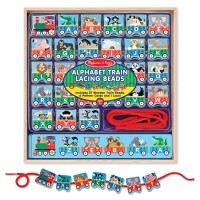 Rating: 5 Great purchase! 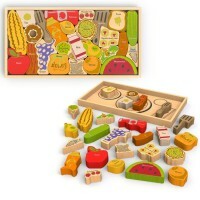 by By A customer Bought this for my almost 2 year old. She absolutely loves it. 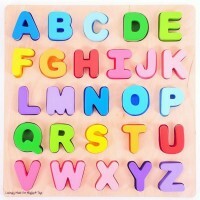 She can put a few of the letters in herself and knows their names. 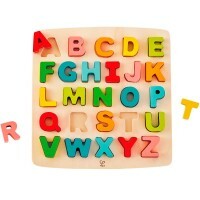 She loves it when I help her put it together and say the letter names to her. Definitely a favorite and would recommend it.